Are you looking to start your own worm farm? Are you wondering why anyone would want to have a worm farm? There are many reasons to start a worm farm. In this article I way lay why you would want to start your own worm farm, and how you would start it off. One of the main reasons to start a worm farm is, you can recycle all of your left over food. This reduces trash and is very healthy for the environment. Instead of throwing food out in the garbage that ends up going to the dump, you can recycle it. The second reason for starting a worm far is, you can make some great money. Many worm farmers sell worms to local supermarkets and bait and tackle shops. 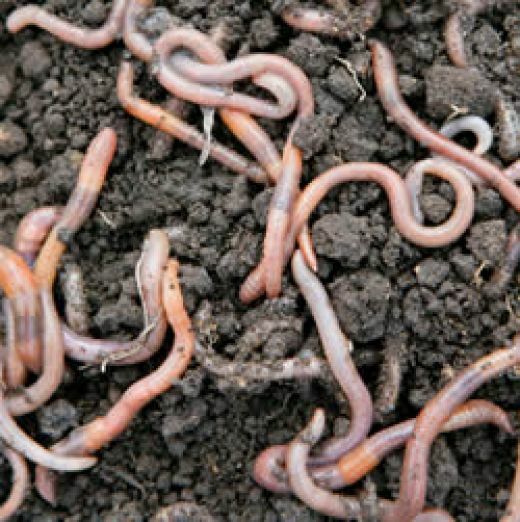 While this may not bring in a lot of money, many farmers choose to sell their worms online. This is where the most money comes in. Believe it or not, selling worms over the internet is a huge market. There is also one more aspect of making money with worm farming. People sell worm poop (no I'm not kidding), this is called castings. Worm castings are one of the best fertilizers on the market. Worm castings bring in a huge dollar amount to the worm farmers. You can find worm castings at any home and garden store, or even in you local walmart. The third reason for starting a worm farm is, many people just use the worms for personal use. They like to use them for fishing, and many other reasons. I personally fish with the worms and my wife uses the castings for our garden. So you may ask how do I start a worm garden? Well you will need some sort of bin to hold the worms. Depending on what you are going to be worm farming for, you could need different types of bins. You are also going to need worms to start your worm farm. Now there are five different kinds of worms to choose from, this also depends on what you are going to be worm farming for. You cant forget the dirt and even worm food. The good thing about worm food is, you can just use all of your left over food scraps. This will usually be enough to start a worm farm. Worm farming has been great to me. It has brought in a nice amount of money, helped my wife's garden produce great veggies, and I always have enough worms for my weekend fishing trips with my kids. Worm farming has greatly improved my way of life in ways I never thought it could. If you are going to start worm farming you need to know as much as possible. I have included a link to a site that helped me pick what type of worm farm that is right for me. The site will also tell you how to setup a correct worm farm depending on what you are worm farming for.